Sheikh Joaan al Thani campaigns his horses under the Al Shaqab Racing banner. 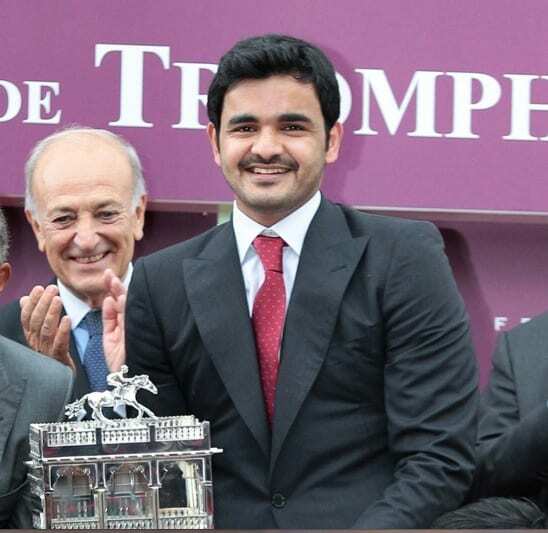 Sheikh Joaan's al Thani's Al Shaqab Racing has experienced an enormous amount of success on some of horse racing's biggest stages since arriving on the scene in 2013 – twice winning the G1 Prix de l'Arc de Triomphe with Treve and taking the G1 Two Thousand Guineas and G1 St. James's Palace Stakes with Galileo Gold. The stable has also been successful in North America, in particular with runners such as Mshawish and Sandiva. It appears, however, that having such success has come with a bit of a price, with the discovery of a trail of unpaid bills the racing operation has left throughout Britain and France. According to a report in the Racing Post, some of the unpaid bills stretch back close to a year, with money being owed to trainers and several other employees. The Post reports that the official position taken by the stable is that the debt problem was a result of “financial review and reorganization.” However, rumors have been circulating for quite some time that “excessive spending” has been the main culprit. In a statement sent to the Racing Post, general manager Khalifa Al Attiya said: “We have been going through a longer financial review due to many activities and engagements in regards to our operation in Qatar, which is taking us quite a bit of time to finalize. All payments will be settled as soon as we are done. This entry was posted in NL List, The Biz and tagged Al Shaqab Racing, British racing, Horse Racing, Sheikh Joaan Al Thani, thoroughbred by Paulick Report Staff. Bookmark the permalink.